Winners stand to win a whopping $173 million jackpot, where the lump sum option amounts to $109 million. The jackpot was a result of more than five weeks of rollovers. An anonymous syndicate of six men were the only winners of last Thursday’s Australia Powerball draw—which had a $16.8 million jackpot. The winning numbers were 11-34-17-31-8-9, while the Powerball was 16. I can’t say I blame them—each of them will take home a cool $2.73 million each, after all. 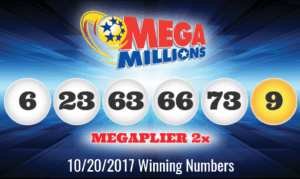 The latest Mega Millions numbers drawn during last Friday, October 20, were: 6-23-63-66-73, with 9 as the Mega Ball. Unfortunately, no one won the $20 million jackpot—which means that, come Tuesday, October 24, the jackpot will now rise to an estimated $25 million thanks to a rollover. Better buy those tickets now if you don’t want to miss out! 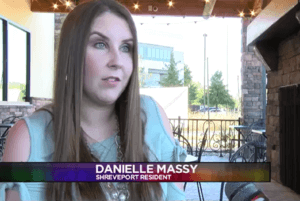 Danielle Massy, a resident of Shreveport, Louisiana, recently received a letter claiming that she had won the Mega Millions jackpot. Instead of feeling enthused, however, Danielle immediately became wary. After all, she hadn’t played Mega Millions recently—or any lottery ever, for that matter. Because of her awareness, she was able to avoid being scammed. Unfortunately, not all people are like Danielle Massy. Some will no doubt take the bait in the blink of an eye. The promise of winning big money is simply hard to resist, after all. If you’re in Shreveport—or anywhere else for that matter—it might do you good to keep your wits about you before getting too excited, especially when you’ve been informed about winning a lottery you never played to begin with! Some will ask you to wire money to cover taxes and/or miscellaneous fees. Some will trick you into providing your bank account details. Some will also send you a check, for which they ask you to cover the delivery expenses first before you can cash your winnings. Of course, the check is worthless. Again, always be aware—no lottery will ask you to pay so you can claim your winnings. For more information on how to avoid getting scammed, check out my in-depth article about it here. 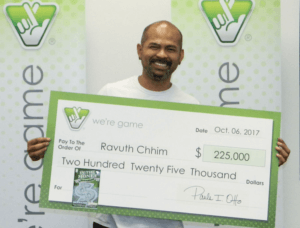 Ravuth Chhim, a Manassas Park, Virginia resident, wasn’t really expecting to win from a ticket that he bought on a whim. While on lunch break, Chhim was only supposed to buy Mega Millions tickets for his co-workers, but he decided then and there to get a scratch-off ticket for himself. He didn’t think much of it—but after scratching the ticket, he soon realized he had won the top prize of $225,000! Not bad for something bought on a whim. No one won during last Friday’s Euromillions draw—which had €55M up for grabs—so a rollover is now in effect. This means that, come Tuesday, October 24, the estimated jackpot is now going to be a whopping €64 million! The National Lottery is currently searching for the winner of the Euromillions UK Millionaire Maker for the September 19, 2017 draw. The winner is said to reside in North Somerset, so if you live in the area and have tickets for the aforementioned draw, then YOU could be the mystery millionaire! Time to check your tickets—the winning Millionaire Maker codes are: HDSQ 06930 & JFTK 18065. The winner has until March 18, 2018 to claim their prize.